10 Lehenga Tips For The Summer Bride To Stay Comfy, Cool & FAB! A summer bride has a lot of things to take care of, especially when it comes to her wedding outfit. While it’s important to keep it fuss-free and follow the ‘less is more’ ideology, here are 10 really useful and easy wedding lehenga tips for the summer bride. Follow these and feel light and airy all through your wedding! 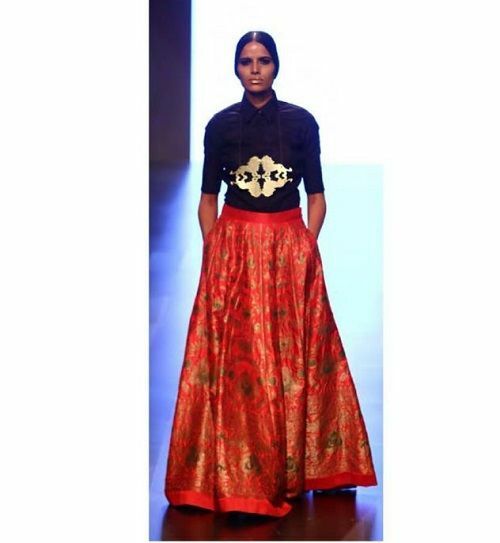 Image: Arpita Mehta on Instagram Opt for a lehenga that isn’t heavily embroidered or embellished. Embroideries not only weigh your outfit down but also make it difficult to walk around easily. Opt for lightweight embroideries like mukaish work or gota patti, instead of choosing stones or zari. Reduce the layers of can-can, as they only trap the heat inside your lehenga, making your feel clustered and hot! You can opt for a lehenga without can-can or have a detachable one that you can remove after the main ceremony is over. 3. Try a printed lehenga! 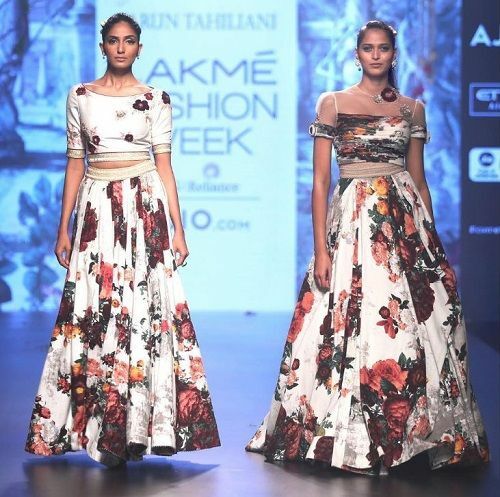 Image: Tarun Tahiliani on Instagram Skip the embroideries completely and opt for a beautiful, hand printed or kitschy printed lehenga that’s bright, bold and looks summery and light. You can totally do away with the embroideries to be the bold bride who dared to try something new and different! The big choice… whether to take two dupattas or just one. Dupattas generally make everything a little more chaotic and cumbersome. 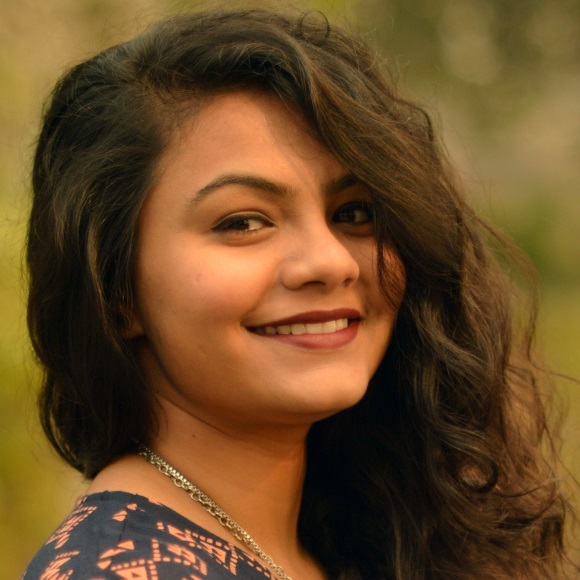 Stick to one dupatta, if possible and use that two ways, as per the occasion. If you have a continued reception or another ceremony after your pheras, swap the dupatta on your forehead and style it with your lehenga. We’re sure it’s going to be amazing! Two dupattas will mean more fabric, and that is sure to make you feel hot on your big day. Image: Abhinav Mishra on Instagram Don’t choose a colour that’s too dark. Stave off the navy, burgundy and deep purples. Choose cool tones and pastel shades like mints, powder blues and corals as they look great in the summer, giving you an illusion of feeling cool. Especially if you’re having a day wedding, these colours are just the best! If you’re a summer bride and still want to opt for a shade of red, we suggest you try a coral red instead! It’s a great idea to have a dupatta or a cape style dupatta pre-stitched with your lehenga. It will give it a contemporary twist and you’ll be so comfy in the hot summer. For every carefree bride who wants to keep it fuss-free and easy, this trick is going to be really, really useful! Image: Payal Khandwala on Instagram A benarasi brocade, khim-khwaab, mashru silk, kanjeevaram and any metallic fabric that has an innate lustre will look awesome and every bit bridal. It will definitely look all parts shiny, glitzy without being too heavy like the ones with embroidery all over. Let the fabric of the lehenga do all the talking and shining, girls! Instead of choosing a blouse that’s really heavily embroidered with stones, sequins and more, go for a blouse that’s simple, one-toned and has no work on it. It will keep you feeling lighter and sweat-free which is a big worry when you’re at your wedding! You can always cover up with a stunning embroidered dupatta that will make your wedding outfit superb. 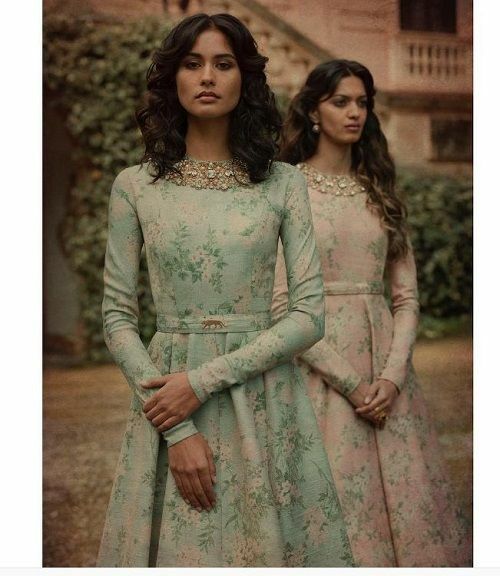 Image: Sabyasachi Official on Instagram You should know where to embellish your outfits and how. Instead of wearing a lot of heavy jewellery, you can opt for a blouse style that’s embellished on the neck, just like a statement neckpiece. This will give your outfit the same effect, but will keep it light and all the sweat at bay! 10. Opt for a lightweight fabric!